Hot Foil Printing Machine (330A) is extensively used for printing dates, price, batch number and other essential information on the products. 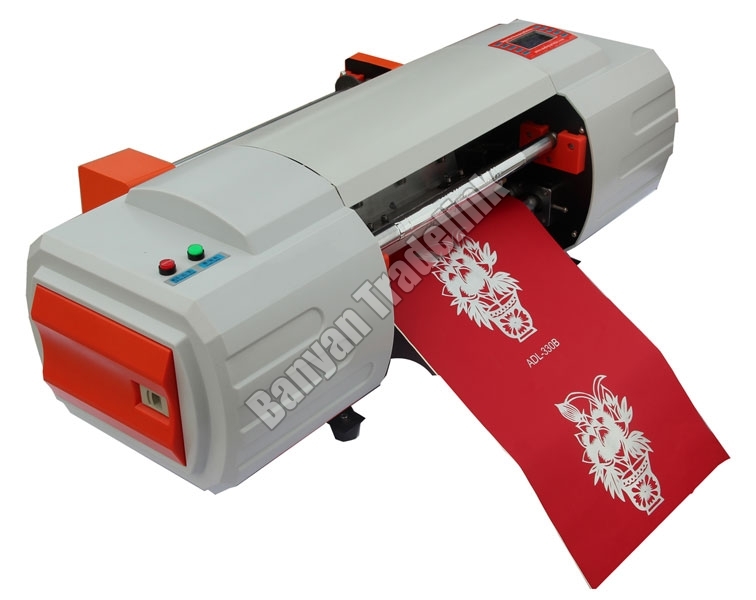 We are one of the prime Importers, Exporters and Suppliers of Hot Foil Printing Machine (330A) from Ahmedabad, Gujarat. The Hot Foil Printing Machine (330A) that we offer is known for its maximum printing speed and low maintenance cost. Features : Plate less or no dies, large format stamping, roll materials and sheets printing. Online or offline printing. Low cost and high quality. Simple operation, the printing format is designed by the computer, no printing plate cost comparing to bronzing machine. One computer can control many machines at the same time for mass production with local area network. The machine can also work offline with SD card. The machine can automatically adjust printing speed according to ambient temperature and humidity to ensure the printing effect at the maximum degree. The printer can repeat printing job, and record the printing times. The printer could also set automatic alarm function. The system can automatically record the using time of the print head. Different from the traditional stamping, it is plate less (no need to make plate), computer to plate, design and print in one minute. Can feed the media with 330mm in width, printing width is 256mm, roll materials printing or sheets printing.